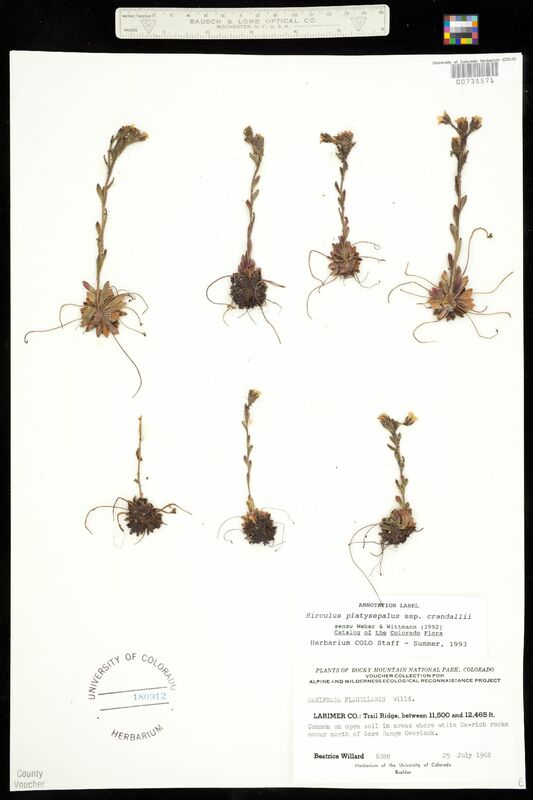 Locality: United States, Colorado, Larimer, Trail Ridge. North of Gore Range Overlook. Rocky Mountain National Park. Habitat: Common on open soil in areas where white Ca-rich rocks occur. Elev. [range of study area] 11,500-12,465 ft. 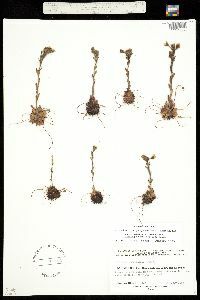 Occurrence Remarks: Original ID: Saxifraga flagellaris Willd. Plants of Rocky Mountain National Park, Voucher Collection for Alpine and Wilderness Ecological Reconaissance Project.